The Environment, Conflict, and Cooperation team talked to Eileen Hofstetter from the Swiss Agency for Development and Cooperation. She is co-author of the Inventory of Shared Water Resources in Western Asia released at this year’s World Water Week in Stockholm. The Inventory was prepared by the United Nations Economic and Social Commission for Western Asia and the German Federal Institute for Geosciences and Natural Resources. ECC: Please tell us a bit about the approach and the main purpose of this inventory. Hofstetter: The initial idea to compile the Inventory came from watching numerous discussions on transboundary water resources in the Middle East in which people debated about conflict and cooperation without being able to specify shared water resources in the region. While there is extensive literature on a few surface water basins like the Jordan River Basin, very little has been written on shared water resources in Western Asia as a whole. And, although a wealth of literature exists on these disputed surface water basins, it does not necessarily cover all relevant aspects. 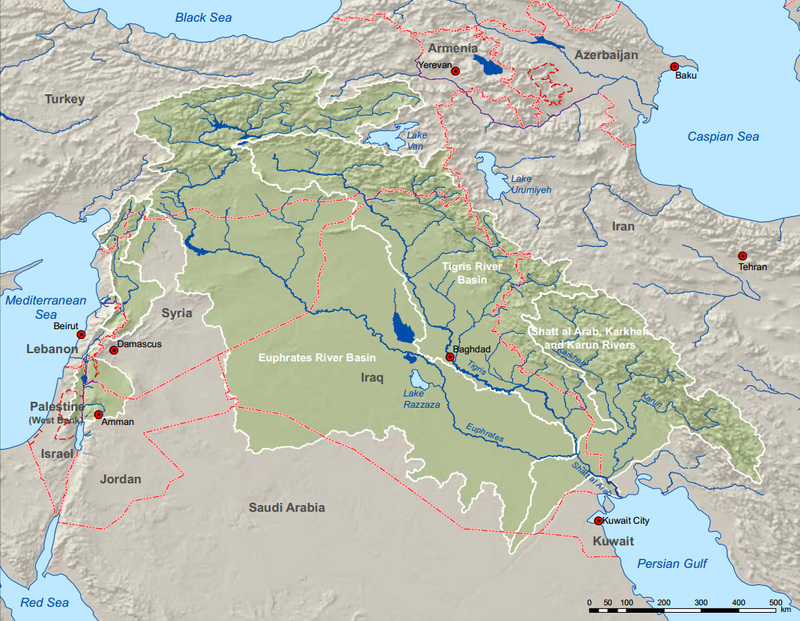 For example, the literature on the Jordan River Basin and, to a lesser extent, on the Euphrates and Tigris River Basins, is dominated by a focus on political relations, occupation, and power asymmetry. The underlying scientific base is often limited and data is not publicly available, resulting in the republication of outdated maps, incomplete hydrological records, and unreliable water use estimates. At the same time, the focus on disputed rivers has diverted attention from smaller shared rivers and tributaries that often play an important role at local level and that may already have been affected by upstream water development projects. Even less is known about groundwater resources hidden deep underground. Governments, scholars and international organizations have generally focused much less on shared groundwater resources in the region, and literature on the topic is limited and rarely publicly available. The overwhelming majority of groundwater studies is undertaken by or on behalf of national governments, and rarely transcends political borders. Most groundwater maps delineate aquifers only up to the national borders and disregard the transboundary extent of the resource. Having said this, the main purpose of the Inventory is to provide a sound scientific basis to inform discussions and foster dialogue on these precious resources that have become increasingly important to sustain development in an era of growing demand and dwindling supply. To do so, the Inventory identifies all shared water resource systems within the region and provides a comprehensive, descriptive analysis of each basin. The aim was to present the resource in all its aspects: hydrology, hydrogeology, water resources development, and use, international water agreements and transboundary water management efforts in a descriptive and impartial way. The Inventory started as a desk study based on available reports and publications on shared water resources in the region, and then followed an integrated and iterative process of development, review, consolidation, and consultation with regional and international experts and most importantly country representatives. This process enhanced the study updating it with recent, previously unpublished data. Excellent! There are also new decision-support tools involving satellite technology to measure water volumes in lakes and dams. The more ways to undermine state secrecy the better able we will all be in making decisions better for all.